Did you guys know it’s National Iced Tea Day today? 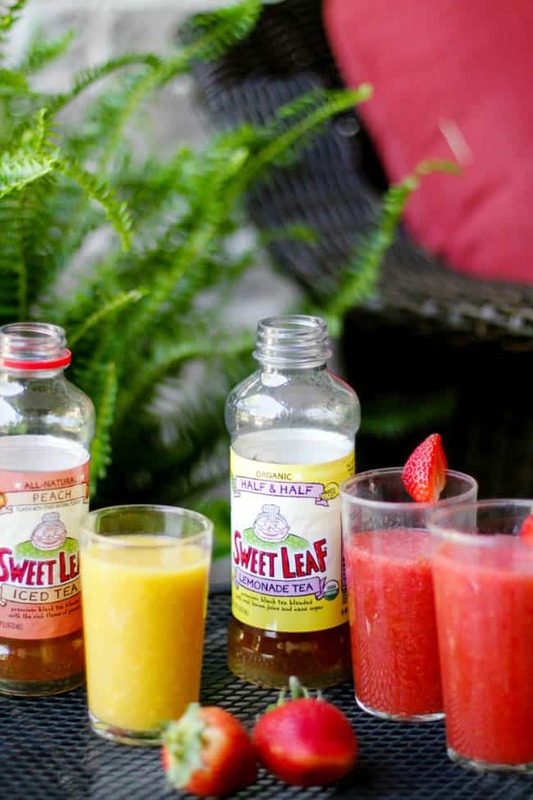 So we’re excited to be celebrating with a giveaway from Sweet Leaf Tea! Sweet Leaf Tea was founded in 1997, and they started by literally making everything by hand, using Granny Mimi’s family recipes. Since then, they have developed a bunch of delicious flavors of their own. But what’s really cute is that each of their bottle caps feature one of Granny’s sweet sayings, and the label features an illustration of the same lady! You should also know that most of their teas and all of their lemonades are USDA certified organic. They are all non-GMO, gluten-free, BPA-free, and their bottles are recyclable. They have sugar-free options, while pure cane sugar is used otherwise. And of course, everything is made in the U.S.
We had a few bottles of Sweet Leaf Tea in different flavors, so we decided to try a little experiment. Is there a way to make our (somewhat repetitive) smoothie more interesting? Why yes, there sure is! Blend 1 cup Sweet Leaf Peach Tea with 1 cup frozen mango. Serve immediately. 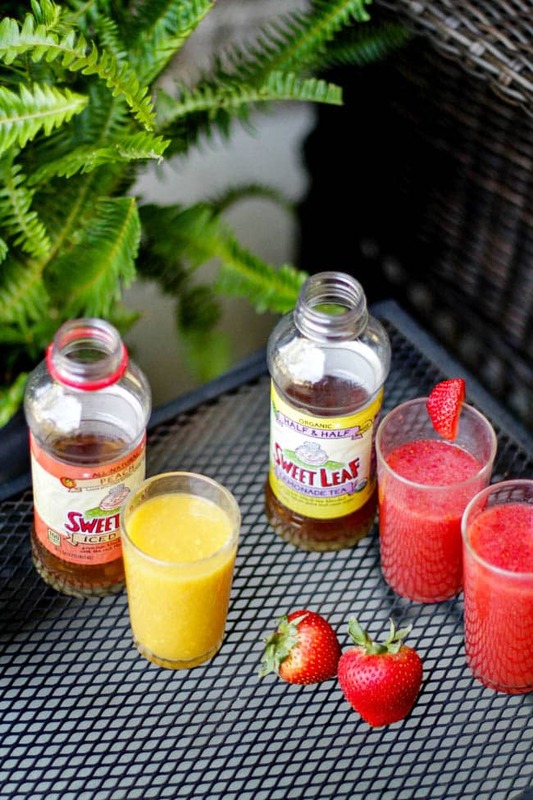 Blend 1 cup Sweet Leaf Half and Half Lemonade Tea with 1 cup fresh strawberries and a handful of ice. Serve immediately. The winner of this giveaway will receive one case of Sweet Leaf Tea (12 bottles) to quench their thirst!